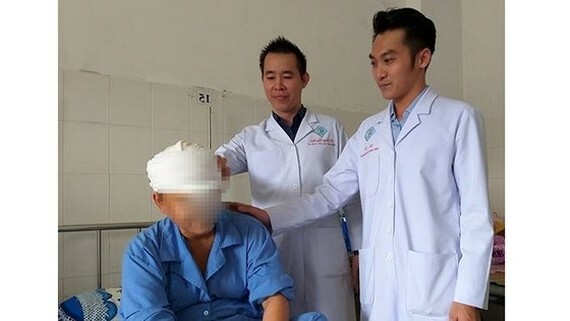 Surgeons reattach scalp of a woman whose whole scalp was peeled in an awful labor accident. 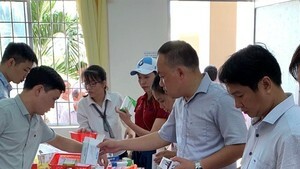 The General Hospital in the Mekong delta City of Can Tho yesterday said they had save the 40 year old woman hailing the Mekong delta province of Kien Giang whose hair sticks to a rice mill. Her whole scalp was peeled all in the incident. According to her relative, the accident took place on December 25 when she was informed the breakdown of the rice mill by her daughter. While fixing the rice mill, the woman’s hair was rolled into the machine peeling off her scalp. She was immediately rushed to the infirmary for emergency treatment. Doctors said the woman was admitted to the infirmary in the state of being stripped of the entire scalp. The top thirds of her right ears were part of the scalp portion that was ripped away. Medical workers were run off their feet to perform a difficult operation to reattach the scalp. Repairing the injury involves, in part, reattaching blood vessels and nerves in the scalp to the head. The doctors were able to successfully reattach main blood vessels. Presently, she is staying in the hospital’s Burn Ward. The next operation will be carried out in the future.